Installing solar panels on your roof is becoming very popular and with the feed-in tariff can save you money as well as helping to save fossil fuels. 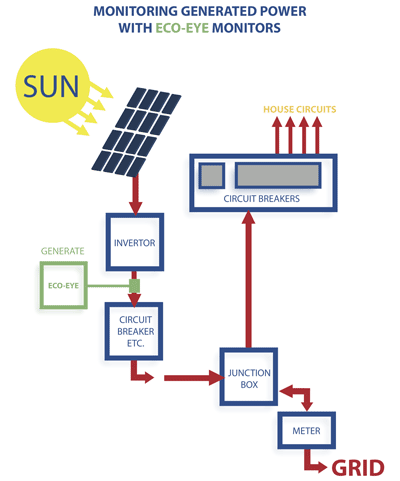 Although the installation of solar panels just works and you don`t need to know anything about what is going on it is still good to see how much you are generating and even how much you are saving. 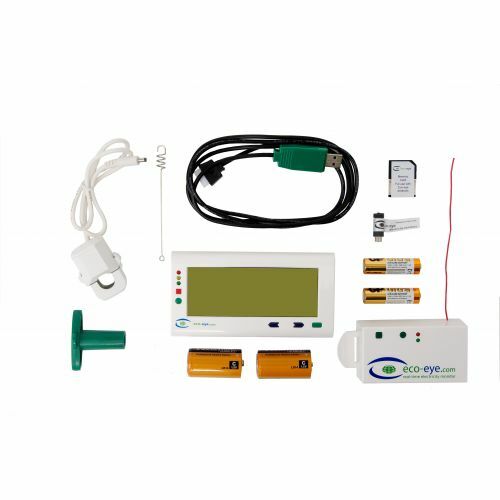 Eco-eye has solutions for simple monitoring and more complex logging and computer analysis. 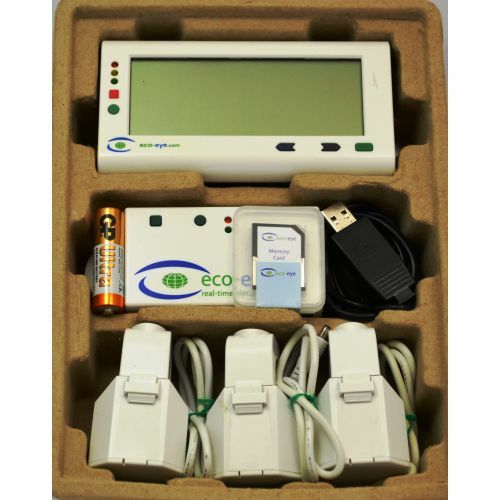 Eco-eye SmartPV uses 3 sensors to measure what you are generating and what you are using. Locating the right places for the sensors can be a bit daunting but below are some typical layouts and, of all else fails just send some pictures to info@eco-eye.com and we will be happy to help. 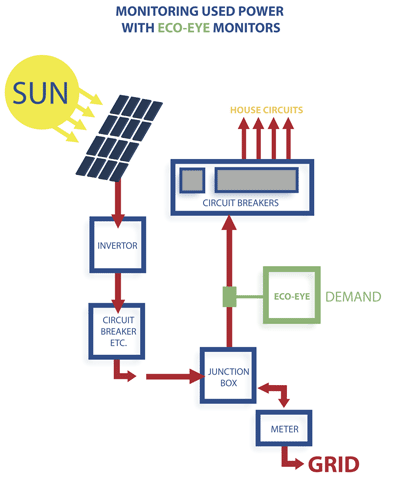 Eco-eye Smart PV is a complete monitoring system for your solar installation and displays real- time information on the power being consumed as well as the power you are generating. It is easy to install - and does not require the use of a junction box (Henley block) - as is the case when using Eco-eye Elite or Mini. It offers computer connectivity if you wish to download data for further analysis. Using the onboard traffic light system, Smart PV shows you instantly when you have a surplus (or are using power from the grid). You can also set your own Daily Usage Target which is displayed as a graph on–screen and serves as a constant visual reminder of how much power you are using. Smart PV also stores daily usage readings in kW for 64 days so you can track your usage over this duration even if you don’t have access to a computer. 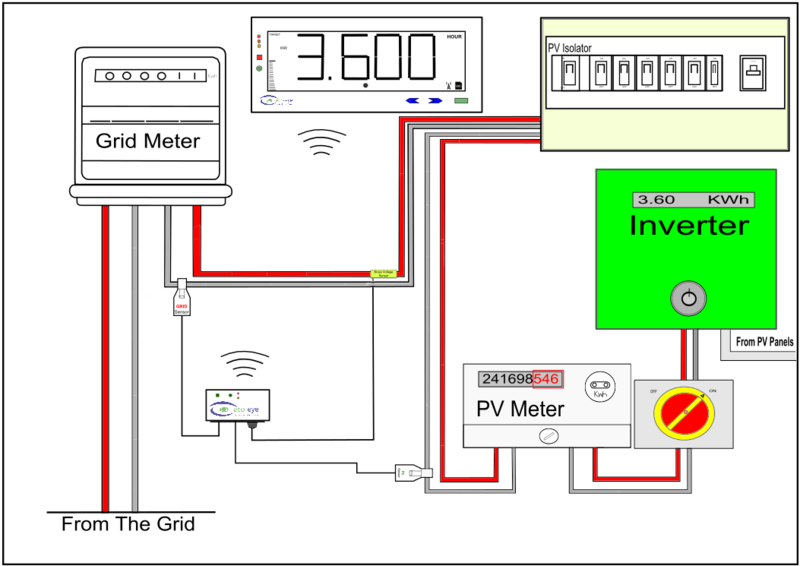 The USB real-time output allows you to send data via a cable to your computer for further analysis whilst Smart PV can also log generated and demand to a memory card at 4-second intervals. This information can then be downloaded to your computer and analyzed as required. 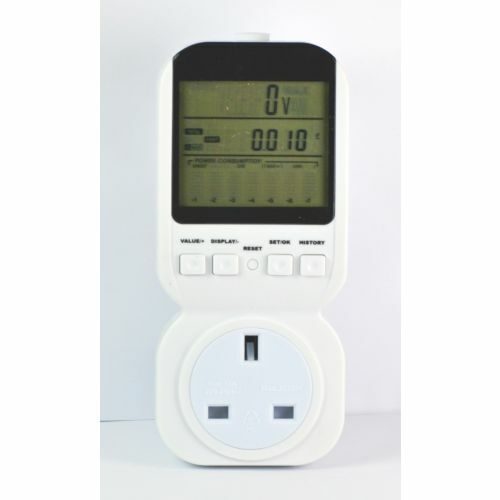 If you cannot use SmartPV or just wish to see how much your panels are generating or how much you are using in your house then you may be able to use our Eco-Eye Mini or Elite which displays one piece of information. 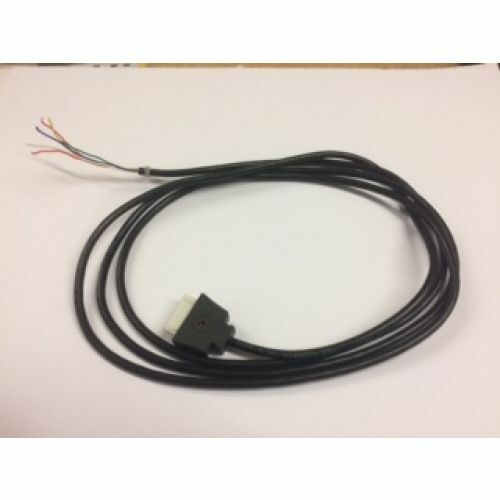 Not all systems with Solar panels can use standard Eco-eye products as the sensor has to be clipped round cables that will only ever have power going in the same direction so the normal place for an energy monitor - the grid meter cable - will not work. 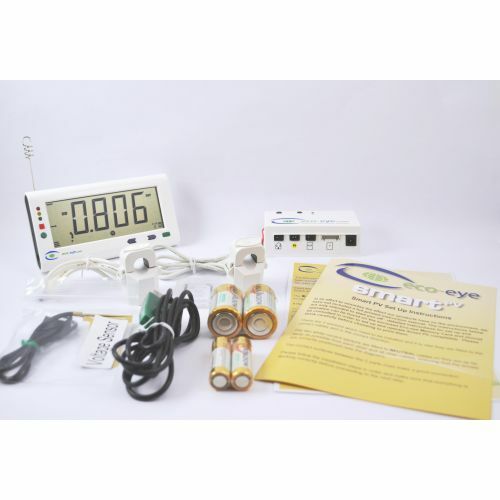 For simple monitoring of generated power, an Elite or Mini can be attached to the live cable after the inverter. 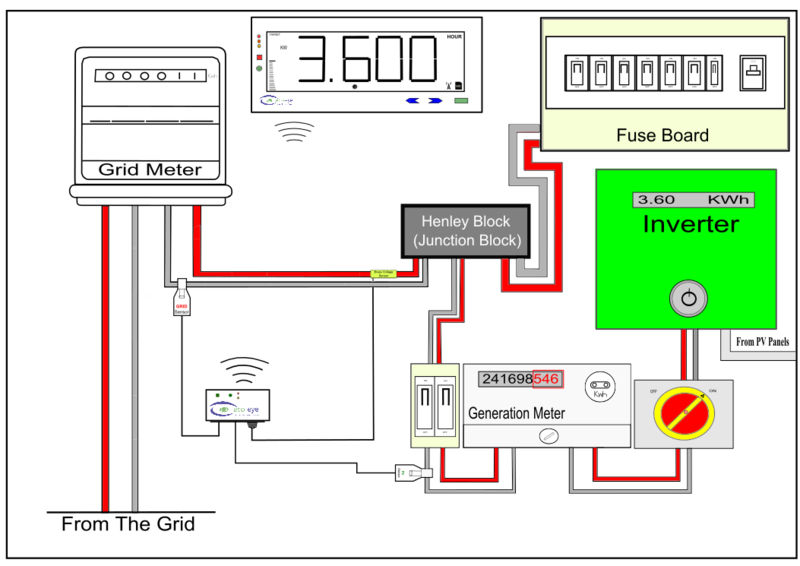 Monitoring demand requires access to a cable that will only ever have power going to the house so the solar system must be wired to a junction box or Henley Block. If you have the right type of wiring, 2 Eco-eyes can be used, 1 on generation and 1 on demand set to different channels. 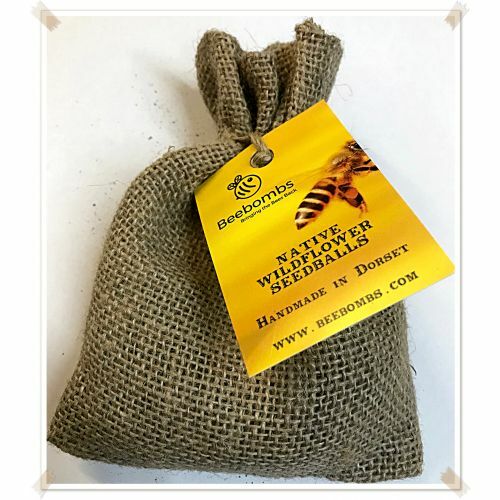 Remember 2 Eco Eye`s are better than one!